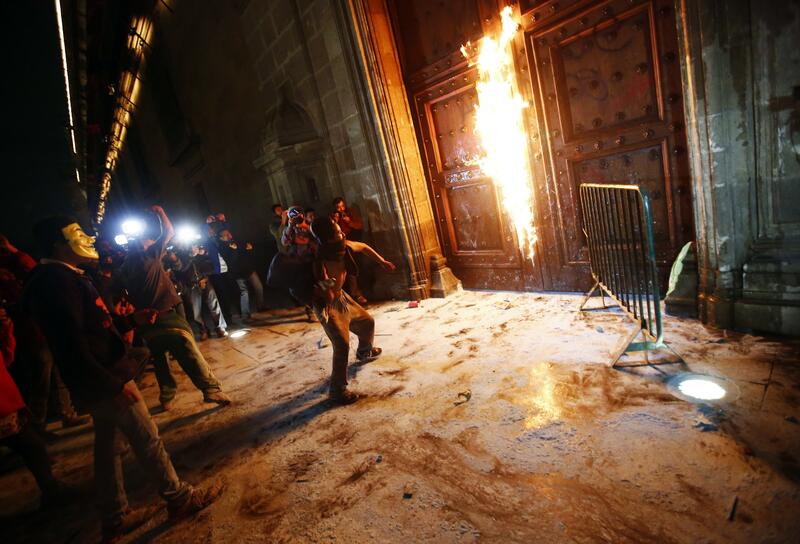 Mexico presidential palace fire: Protesters strike ceremonial home. The group, carrying torches, broke away from what had been a mostly peaceful protest demanding justice for the students, who were abducted six weeks ago and apparently murdered and incinerated by corrupt police in league with drug gang members. Police put out the flames and enforced fencing designed to keep the protesters away from the National Palace, which was built for Hernan Cortes after the Spanish conquest and now houses Mexico’s finance ministry. DNA tests on have not yet confirmed that the burned remains found recently are those of the missing students.